$225 Login For Price!PRICED TOO LOW TO ADVERTISE!!! Magicard M9005-751 YMCKO Color Ribbon. 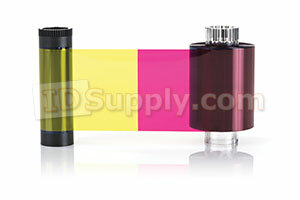 LC1/D 5 Panel Full Color Ribbon. 350 Images. Magicard dye film is especially designed for Magicard printers to ensure crisp, high quality images and text. Tested and approved by Magicard R&D, genuine Magicard dye film offers the best performance and an extended lifespan for your printer.